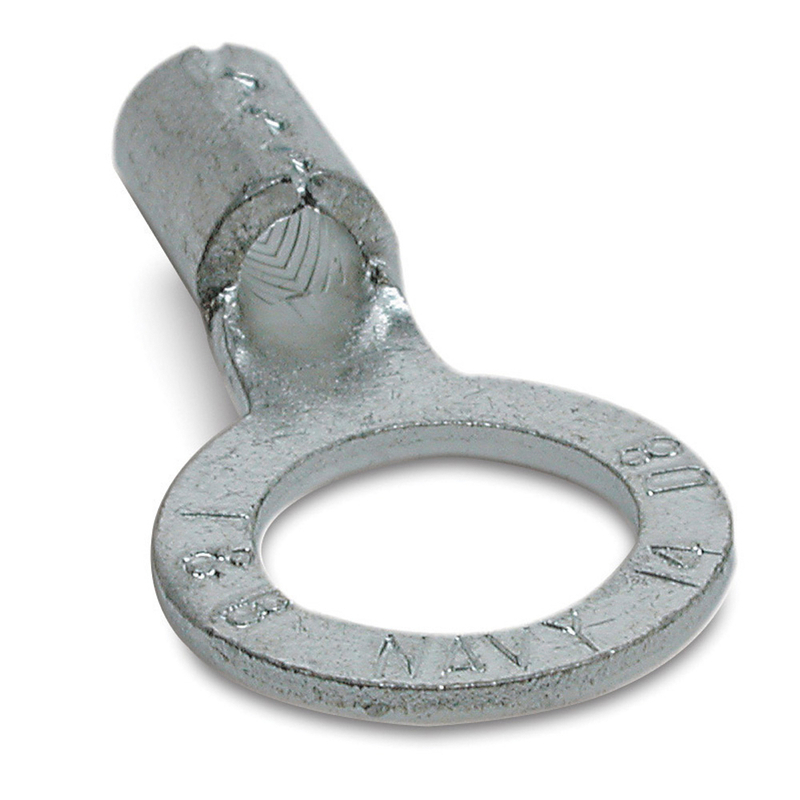 Detailed Description: Thomas & Betts D Series Non-insulated brazed seam ring terminal in metallic color has a stud of size 5/16. It is made of copper and has electro-tin plating for high conductivity/corrosion resistance. It has a voltage rating of 600 Volts and can withstand temperature of 150 deg C. Terminal has a serrated barrel to increases grip on wire. It can accommodate wire of size 8 AWG. It is UL 94 V-0 flammability rated to withstand hazardous environmental conditions. It measures 1.320 Inch x 0.590 Inch. Terminal is UL listed/CSA certified and RoHS compliant. 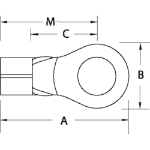 Special Features These non-insulated ring terminals are made of electrolytic copper for high conductivity. They can be installed with crimping tools having a single indentor or double indentor (recommended for solid wire). Serrated barrel increases grip on wire.